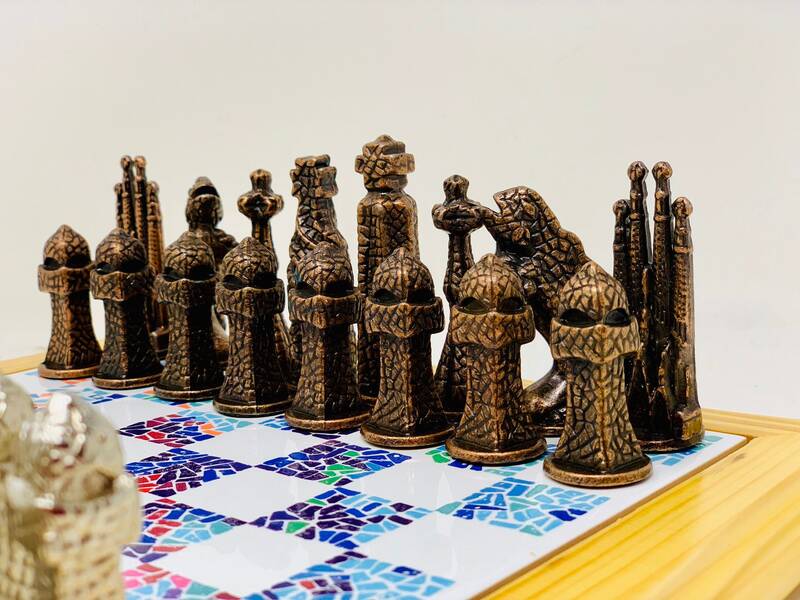 Chess of Modernist forms of the brilliant Catalan artist Antonio Gaudí. 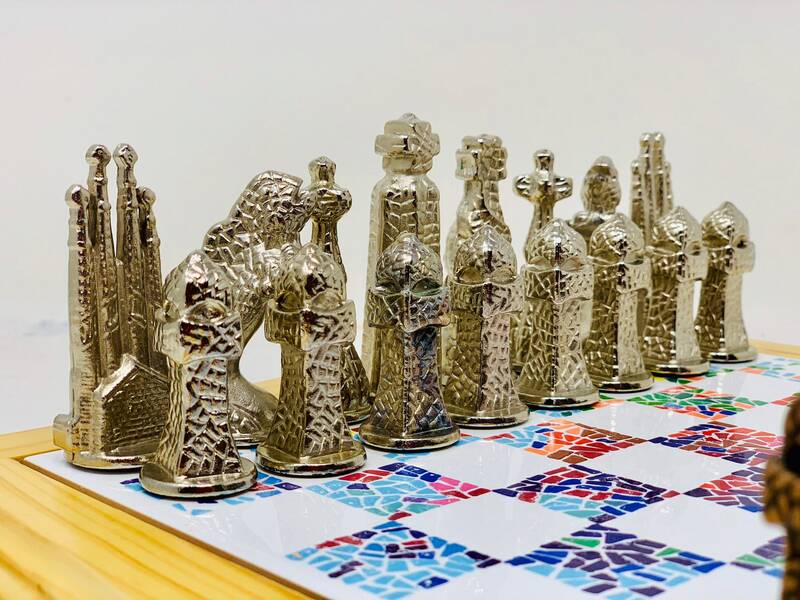 Pieces and board of great design of the best monuments that the modernist artist Gaudí has in the city of Barcelona, from the Sagrada Familia to the rare forms of the park Güell. 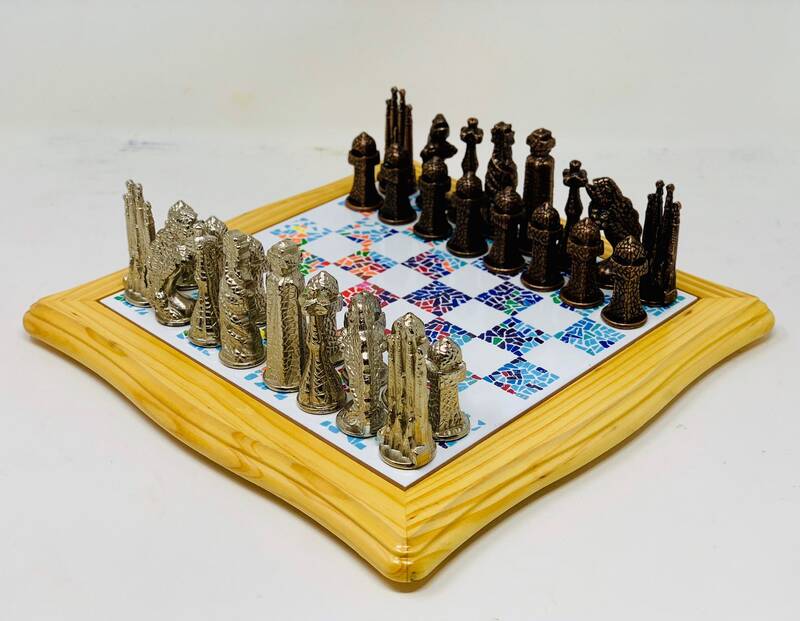 Good weight pieces in bronze heavy metal dimensions 6.5 the king and 4cm the pawns. 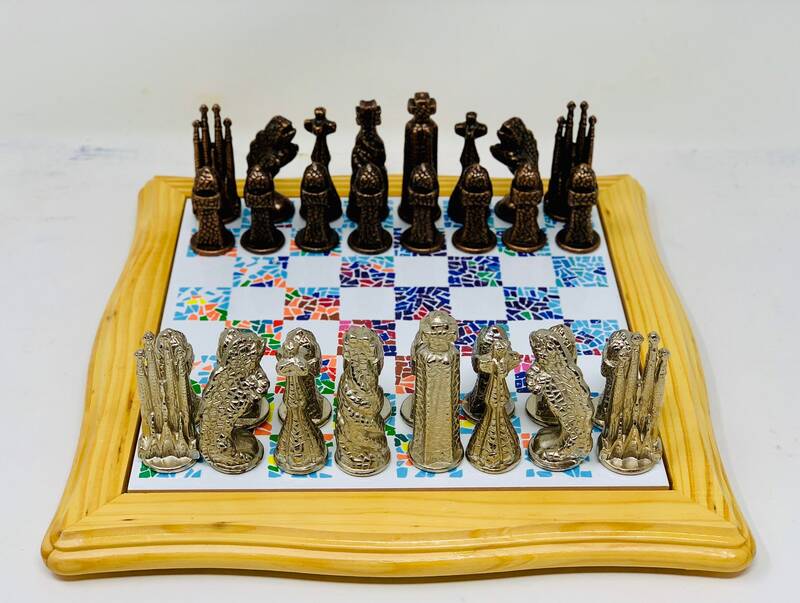 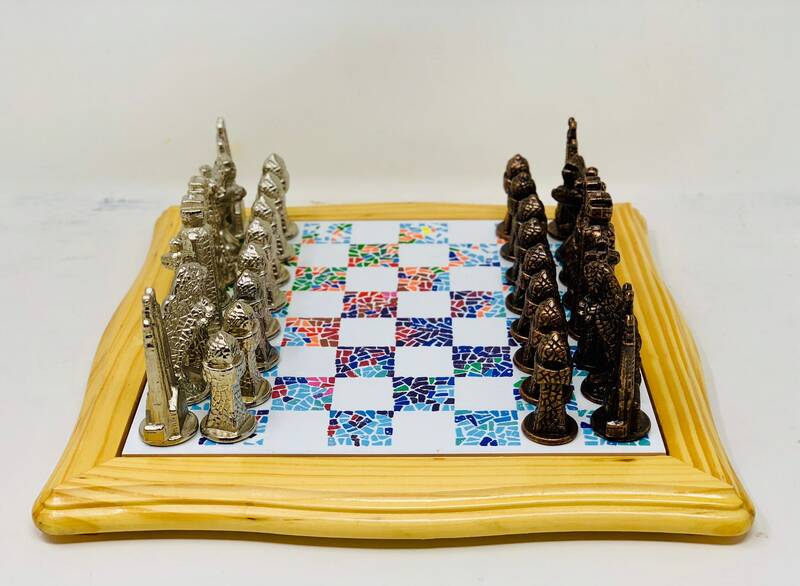 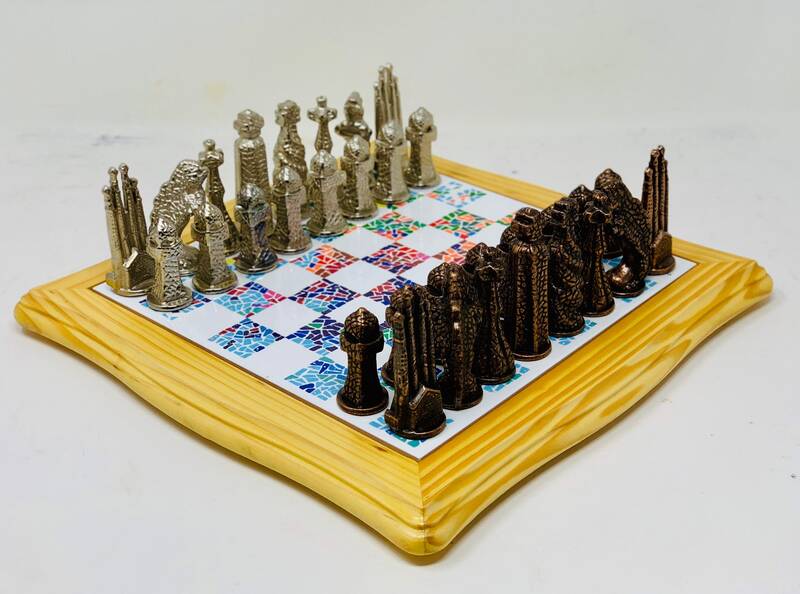 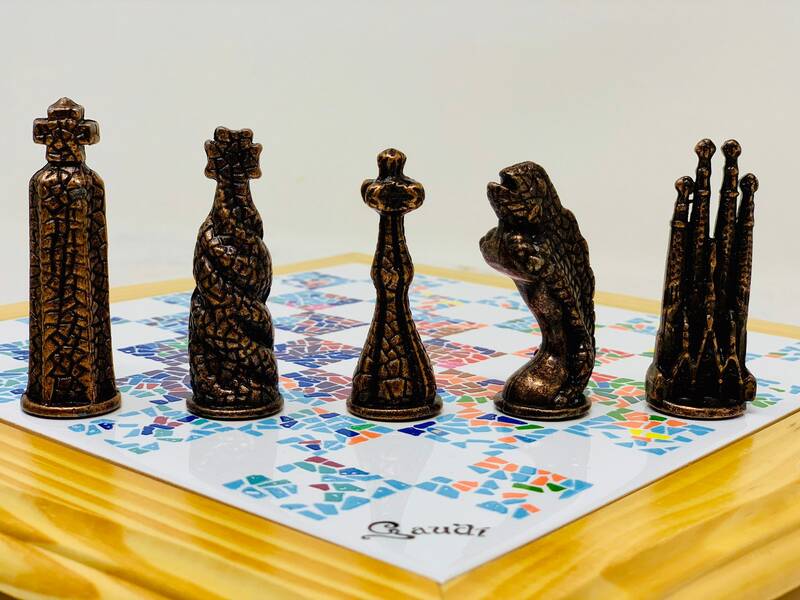 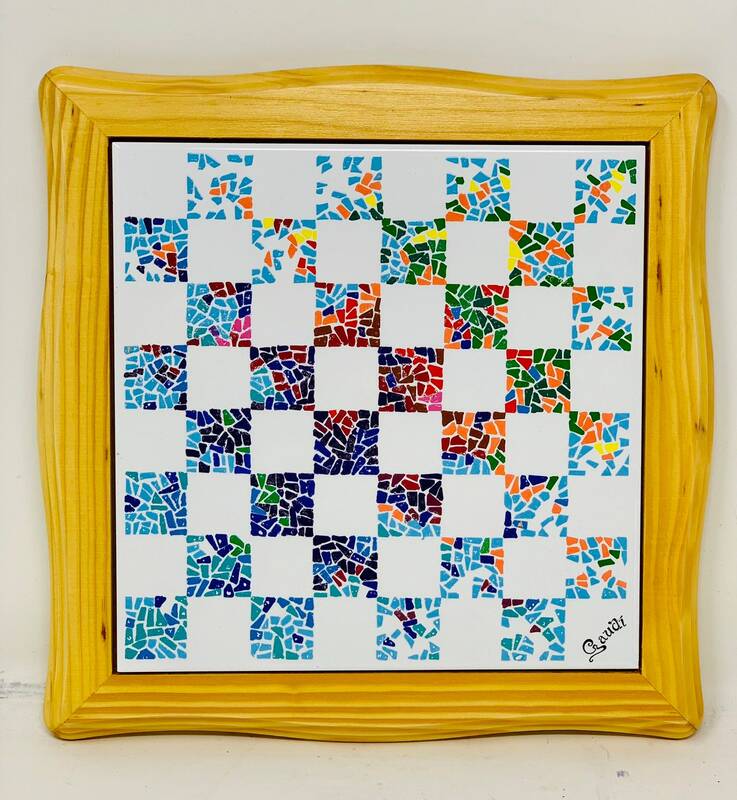 It includes the original wooden board and ceramics of Barcelona of the Gaudí Foundation, hand-painted with the style of the famous modernist author. 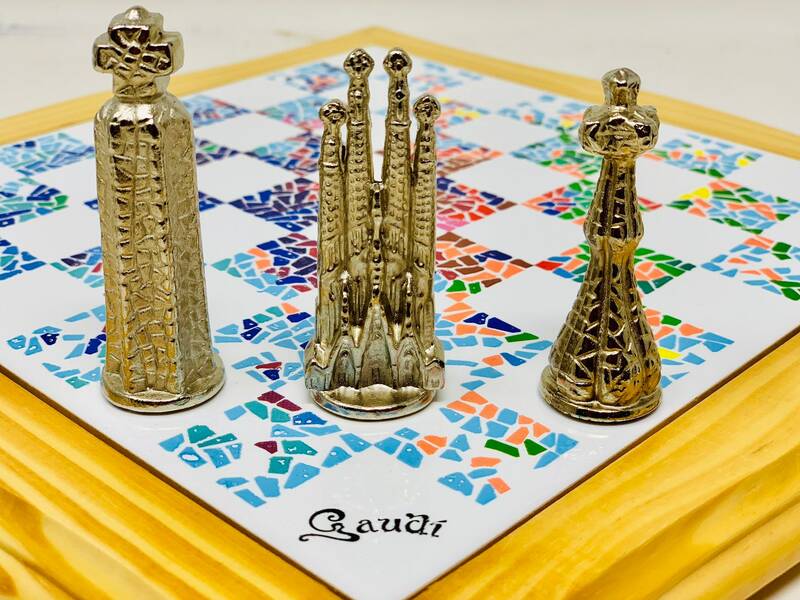 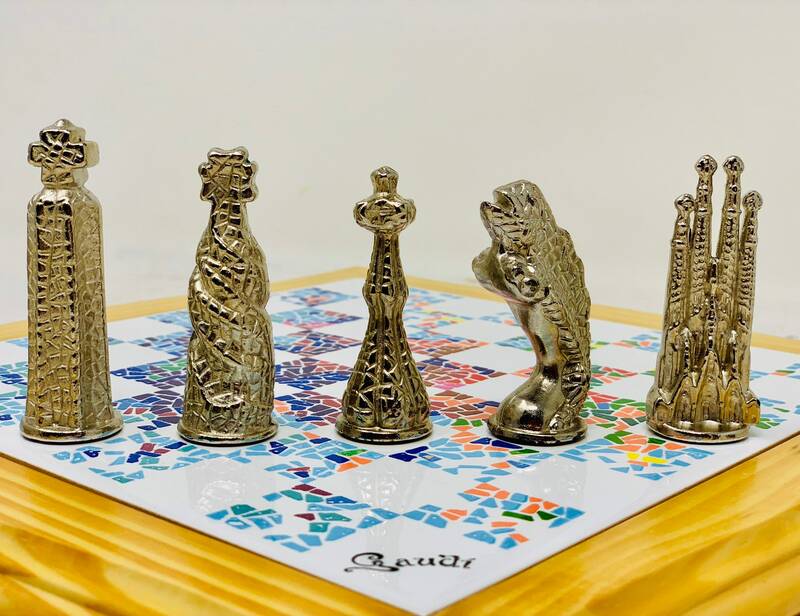 A beautiful chess of artistic forms and with great design of the great artist Gaudí.